In Val di Fassa, we take care of the entertainment of all – both adults and children. For our younger guests, there are many activities to sample during your holiday discovering our land and its traditions. During the workshops they can learn all that there is to know about the geology of the Dolomites: during high-altitude strolls, they will discover the secrets of the traditional livelihoods of those living in the mountains. For the more adventurous, there are games parks where they can try out high-adrenaline activities in maximum safety. Family fun is guaranteed! 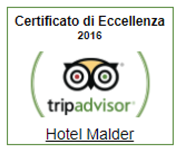 At Hotel Malder, you will have access to all the facilities you need for your family holiday. A garden where children can run and have fun, a pool suitable even for little ones, and a games room dedicated entirely to them. The best way to discover a passion for the mountains is to hear from experts! Alpine Guides accompany the children and guide them in their first climbs. They will face climbing gyms, Tibetan bridges, and descend from suspended cableways. They will have fun while learning the secrets of climbing, and all in absolute safety. Discover the traditions of Val di Fassa with your family during an excursion that will lead you around the traditional huts. You can see the Alpine pastures and experience up-close the work that is carried out in these places where traditional Ladin livelihoods are preserved. To conclude, sample some typical Alpine hut products. Guaranteed fun for all the family! How did the Dolomites form? Of which rock do these majestic mountains consist? What secrets have remained hidden here for millennia? Experts and collectors will answer all these and many more of your own questions. A workshop to share with the whole family, discovering the minerology and geology of Val di Fassa. For an afternoon of thrills and adrenaline with the family, enjoy some fun with the children in the adventure parks. Acrobatic routes at the tops of the tallest trees: speedy cableways, bridges and nets from which to hang. Children will feel like Indiana Jones in maximum safety. There are also trails suitable for younger children. Val di Fassa is also great for children, with games parks where they can run and play in company. Just a few minutes from Hotel Malder there is the communal park of Soraga, one of the best in Val di Fassa. If parents want to enjoy a few moments of relaxation, they can leave children at Kinderland, where assistants will take care of them and keep them amused with a range of activities. What could be better than having fun surrounded by the spectacular Dolomites? In the high-altitude games parks, children can enjoy fun with their parents or with entertainers. There are many activities and workshops, and enjoyable games in unique surroundings.